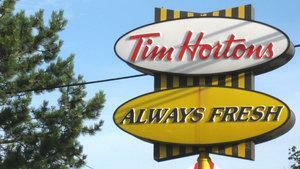 Four Mexican workers have filed a human rights complaint against Tim Hortons. The Tim Hortons server popped his head out the drive-through window, handed Jordan Farber his sandwich and told him the lunch was free. The motorist ahead paid for it. The gesture threw Farber, 32. “I don’t understand,” he said. “What do I do now?” The server seemed just as surprised. He laughed and replied: “Pay for the guy behind you?” Farber did. Food for thought: maybe the system actually works? In fact, Farber was an unwitting participant in a centuries-old tradition of giving called “paying it forward.” It’s the opposite of “payback.” Rather than return a favour or borrowed money, the recipient is asked to do a good deed for someone else instead. One famous practitioner was U.S. founding father Benjamin Franklin who, in 1784, loaned money to a man on the condition that at some point he help another in need. In 2000, the premise got the Hollywood treatment in a film starring Haley Joel Osment, who played a boy hoping to change the world with random acts of kindness. Most Winnipeg buyers ask to remain anonymous, which, according to one donor, makes the game more fun. It’s not clear why this wave of generosity is rolling through Winnipeg—though it lends weight to the “Friendly Manitoba” moniker—nor why coffee lines are preferred conduits. A similar trend swept Bluffton, S.C., two years ago when a woman left $100 at a coffee shop, instructing the owner to pay every customer’s order until the money ran out. Whatever the reason, recipients love the simplicity of the act. When a stranger offered to pay for Maya Kotecha’s tea at a Winnipeg Starbucks drive-through, the marketing executive was touched. “It’s $2, but it made me feel great,” Kotecha, 32, says. For the record, Paul pays for strangers’ orders at the same Starbucks in southwest Winnipeg where Kotecha twice received free beverages. Was Paul her mystery donor? Unlikely. Kotecha’s tea came from a driver. Paul is a walk-in. But maybe the motorist in front of Kotecha once got a free Monday drink from Paul and decided to pay it forward.